For the first time, the City of Denver has revoked a homeowner’s short-term rental license. On Wednesday Ashley Kilroy, director of the city’s Department of Excise and Licenses, revoked the license given to Garth Yettick for his house at 410 N. Marion St.
Short-term rental licenses allow homeowners to rent out all or part of their homes through websites such as Airbnb. Yettick asked $1,000 a night for his 7,800-square-foot home, dubbed Marion Manor, in the Country Club neighborhood. Yettick did not respond to a request for comment on the ruling. BusinessDen reported last week that he recently listed the mansion for sale at $5.68 million, or for long-term lease at $11,500 a month. The dispute, which came to the city’s attention when neighbors complained, revolved around whether Yettick was complying with a component of the city’s short-term rental laws that allows only primary residences to be rented out. Kilroy ruled Wednesday that he was not. Her final decision aligns with the decision recommended by Kim Chandler, who oversaw an administrative hearing on the matter in mid-January — the first such hearing to be held in connection with the city’s short-term rental laws. The dispute was brought to the city’s attention after neighbors began noticing groups of people showing up at the house and throwing parties. Seven neighbors testified against Yettick at the Jan. 17 hearing, arguing that he rarely appeared at the home after he received his short-term rental license in July 2017. At the hearing, Yettick argued that the regulations “only require that he provide two forms of documentation to prove that the residence is his usual place of return for housing,” Kilroy wrote in her ruling. But she said that the city is allowed to go beyond provided documentation when determining primary residence. Additional evidence that played a role in the case was Yettick’s purchase of a Cherry Creek condo, located across the street from his office at Janus Henderson Investors, in August 2017. Further, Yettick advertises the home as a “boutique hotel” that sleeps 20 and offers concierge services. While Yettick is the first homeowner to have his license revoked, other alleged violators of Denver’s short-term rental laws have agreed to give up their licenses as part of settlements with the city, said Eric Escudero, spokesman for the city’s Department of Excise and Licenses. 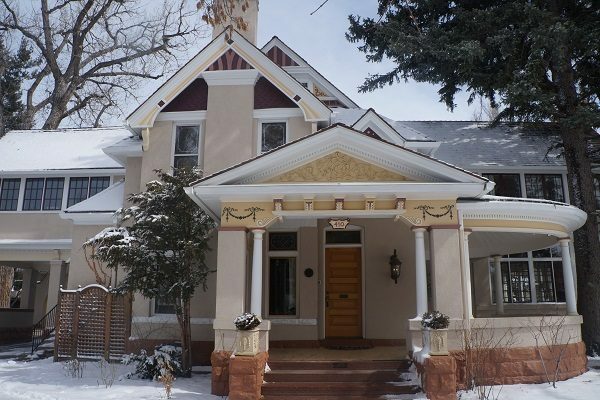 1 Comment on "Denver revokes homeowner’s short-term rental license for first time"
It’s about time the city of Denver started cutting off these bad players. There are lots more to get. My husband and I follow the rules with our short term rental. It doesn’t help when people blatantly disregard city laws and get away with it.